Please visit Amazon.com for WAGSF video downloads! Coming soon the whole 20 hour story development process from the new workshop will be posted online as an interactive point, click and enter story engine. Video downloads in Quicktime of the entire workshop will also be available again. This amazing new interactive tool will help you to create a great script fast online in a snap! Our MyFlik Video Download Store was up for a time but is now closed for an upgrade. Use the link above to get your video downloads for the Writing A Great Script Fast DV Workshop at Amazon until our store is up again. High Speed Connection? You will need a high speed internet connection to download these video files since they average around 300 MB. If you have DSL around 650K down it will take about an hour to download each part. For high speed 1.5M DSL connections 300 MB will take about 30 minutes to download. 6 MB down DSL or cable will take about 7 minutes each. Try buying one file first to test out your download speed before buying several at once. File sizes are listed on each item to help you calculate download times. Download File Formats? MPEG-4 Quicktime, H.264, 640 x 480 High Resolution video files is the download format. These files still look a little compressed since they are now around 300 MB instead of 13 gigabytes for the full resolution DV files. There are also PDF and Word files for the Workbook that comes in four parts. 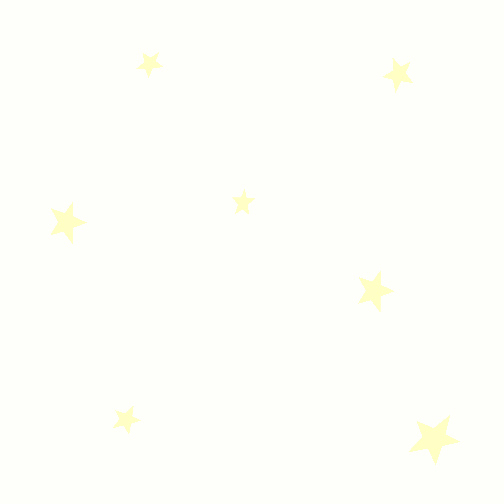 Can I buy things from the MyFlik Store on the MyFlik Video Download Store? No. These two stores run on different systems. If you want to buy a DVD Workshop or another item that will be mailed to you go to the store. The MyFlik Download Store opens in it's own window and does not yet connect to the main MyFlik navigation site. PayPal handles the payments for both stores. Individual Workshop DVDs are now available for purchase on Amazon.com for $25 each with free shipping. Can I post these MyFlik video download files on the internet, my school server or email them to people I know? No. We ask that you do not send these files around on the internet. This 20 hour class took three years to make, and we are charging a very inexpensive price for the information in hopes that people will not mind paying a little for such a great resource. Why does the MyFlik Video Download store look like an online music store in places? MyFlik is using a new online store that was set up for music sales, but works fine for video downloads too. Some of the buy buttons say things like "Buy This Album" or "Buy This Song" when you are actually buying a video. Each of the 19 videos are listed as a separate album, with one song or video in it. You can buy the song or the album and you get the same file. How long do I have to download the videos I buy? You have 24 hours and three download attempts before the link expires. If you are going to buy several videos at once, try buying one video first to see how long it will take to download on your connection. How much do the download videos cost? Each of the 19 videos in the 20 hour Writing A Great Script Fast workshop costs $8. This adds up to $152 for all the videos. The Workbook comes in four parts at $8 each for a total of $32. If you download the entire workshop it will cost $184. The cost of the DVD Workshop that is mailed to you is $375. Will there be other things to buy soon on the download store? Yes and lots of free things too. We will be posting stock video clips from our archives, VJ loops, 3D characters, trance party kits and music from GeoMagnetic, Goa Records and Psytrance Records. Can I start downloading now? Yes! 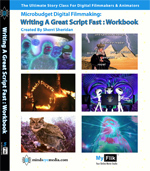 Writing A Great Script Fast Parts 1-19 are now available for downloading and the Workbook will be posted soon. To see samples of these videos click on the YouTube movie links in the upper left menu on this web page. Questions or feedback? Send us an email with MyFlik in the subject line so that we know your email is not junk mail. Download Store Status: Offline Now For Interactive Story Engine Upgrades. We are working on the new version and will have it up soon! Writing A Great Script Fast is now being used to teach story to filmmakers, animators and writers all over the world! The countries now using this workshop to teach story include 1000's of schools in the US, China, Singapore, Canada, England, Sweden, Germany, Australia, Mexico, Brazil, France, Japan, Ireland and Italy. This new 20 hour DV story workshop seems to connect best with the college crowd and above, but some high schools are using it for their advanced students with great success. Teachers in many schools are forming study groups, between the digital media and English departments, going through the workshop together as a career development project, then teaching it to their students across departments as the new way to create engaging stories. A big thanks to everyone who is already using the workshop! The feedback has been amazing!